The fundraising effort that kicked off 14 months ago received an initial boost from anonymous private donors, then a hefty injection of grant funding and donations from over 1,300 community members that catapulted it to the goal a year earlier than anticipated. “We are grateful to the many individuals who got involved in the campaign. We received gifts of all sizes—pennies and nickel from students at Canalino School—and from people from all walks of life. The outpouring of support has been tremendous,” said Chet Work, Executive Director of the Land Trust. The $7.9 million raised allows for the purchase of the property and partially funds an endowment and improvements. Perched above Rincon Point, the land served as a racetrack in the 1940s and 1950s, then a dumping ground for soil moved to make way for freeway expansion in the mid-1950s. Zoned for a resort, the property was graded with highway fill dirt to prep it for future development. But, as Carrie Mullen of the Land Trust said, the “gutsy little piece of land” resisted repeated development efforts and was slowly recolonized by a few native shrub species. Trails criss-cross the property now and several invasive species are prominent, yet native lemonade berry, salt bush and coast sunflower thrive throughout. Numerous developers have tried their hand over the decades, but a fault line through Bluffs III has thrown a monkey wrench into plans to maximize profit on the relatively small property. 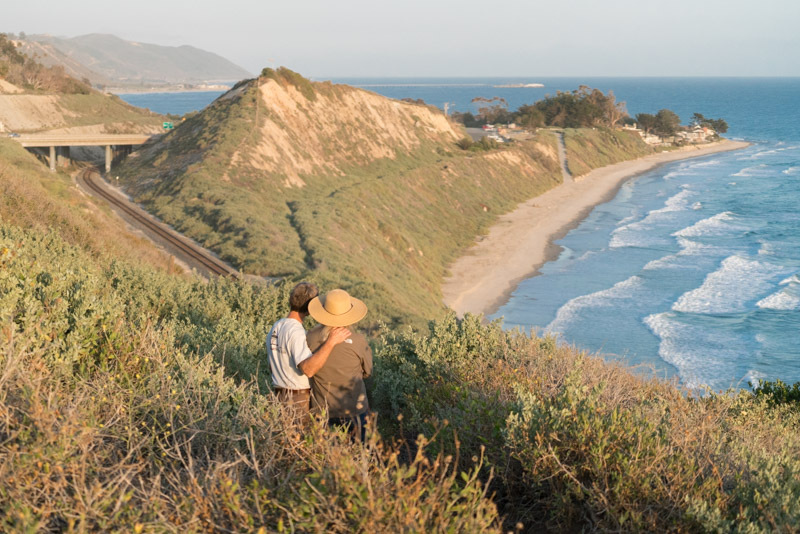 Citizens for the Carpinteria Bluffs President Arturo Tello, who played a critical role in the successful purchase of Bluffs I in the 1990s, said, “We thought (Bluffs III) was already lost to development. The question was just how big.” His group was shocked when the Land Trust told them in early 2016 that the landowner was open to a deal if the funds could be raised. “The community won the lottery here,” Tello concluded. Located on the far edge of town, Bluffs III has been treated more like a dump than a nature preserve over the last few decades. Homeless encampments and illegal dumping has plagued the site. 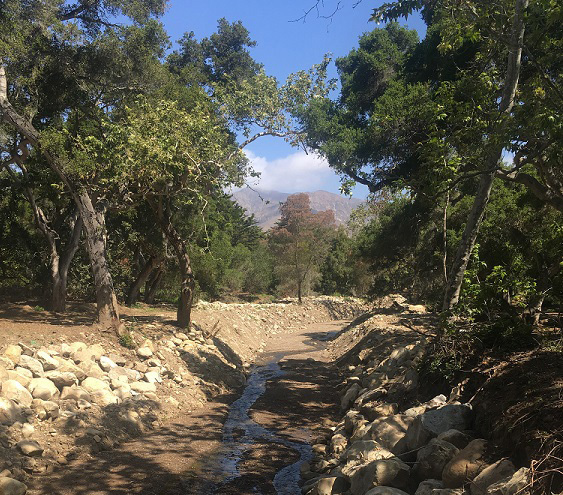 But the Land Trust, the Citizens group and the City of Carpinteria, to which the property will soon be transferred, see great potential. Parking will be improved, native plants restored and a trail system built. Plans may include an interpretive native plant garden and a marker similar to the one near Bailard Avenue that celebrates the purchase of Bluffs I. The connection between Bluffs I and III is also important to Tello, who noted that a nice, flat 5K walking or running loop begins at the Bluffs I marker, follows the trail behind the commercial buildings that make up Bluffs II, and turns back at Bluffs III. 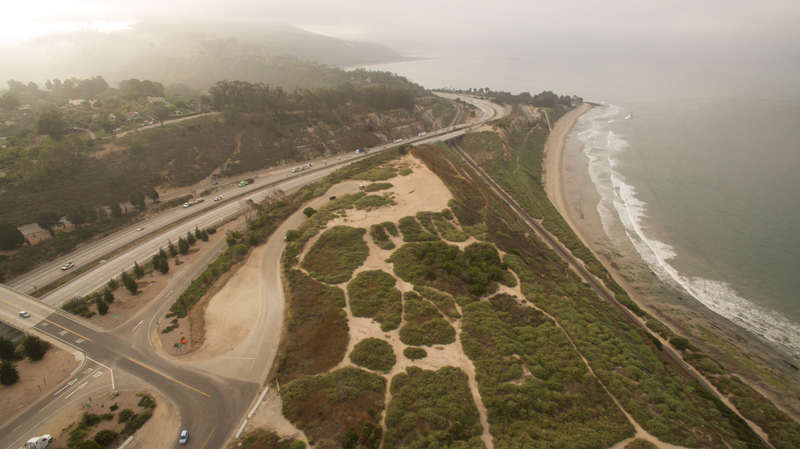 To celebrate the completion of the Bluffs III campaign, the Land Trust will hold a community event called Celebrate the Bluffs on Saturday, Sept. 16, from noon to 5 p.m. at Procore, 6309 Carpinteria Ave. The free event will include tours of the property, kids’ activities, live bands, a free bike valet, food trucks and a beer and wine garden. To learn more, contact the Land Trust at 966-4520 or [email protected].